The road to the 2019 general elections appears paved with uncertainties for the All Progressives Congress (APC) in Rivers State. APC, currently beleaguered by divisive internal squabbles, now risks not fielding candidates for the 2019 general elections following a court judgment that has voided and set aside the ward, local and state congresses held on the 19th, 20th and 21st of May, 2018. The Court has also nullified all indirect primaries for governorship and legislative candidates. The nearly two years wasted on internal party wrangling between the Minister of Transportation Chibuike Amaechi and governorship aspirant, Senator Magnus Abe, over the party’s governorship ticket ought have been of concern to the national leadership of the party. 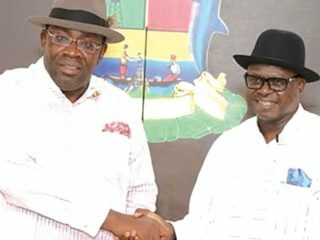 Even when two parallel State secretariats were opened in Port Harcourt due to the fallout of the congresses, the national leadership decided to remain insouciance, while the party in Rivers State hovered on the precipice. Prior to the APC ward congresses held in May 2018, Mr. Ibrahim Imah and twenty-two other APC aspirants who had paid for nomination form, filed suit no: PHC/78/2018 in court to seek legal redress having been hindered and denied opportunity to participate in the congresses. Their suit spurred Justice Chiwendu Nwogu, to issue an interlocutory injunction restraining the APC from going ahead with the congresses. Rather that contest the restraining order, the party proceeded with the congresses, thus, incurring the wrath of the court, which on the May 30 2018, nullified the entire ward, local government and state congresses. While the substantive matter in the aforementioned suit was yet to be determined, the APC on the basis of the nullified congresses which produced the Ojukaye Flag-Amachree led state executive proceeded to conduct indirect primaries, which inadvertently shut out Senator Abe and his supporters from the process, to elect its governorship and legislative candidates for the 2019 general elections. Though Abe’s faction had conduced direct primaries where he and others emerged victorious, the National Working Committee in its wisdom, endorsed only the candidates who were products of the Flag-Amachree’s faction who are core loyalists of Amaechi. Senator Abe has kicked against the decision of the NWC, insisting he and his faction remain the authentic candidates of the APC. The perceived failure to create a level playing field for all aspirants in the party, and a kind of restrictive politics that characterised the APC congresses, further fuelled the intra party wrangling and war of attrition after the primaries. Senator Wilson Ake, who represented Rivers West in the Senate between 2007-2015, allegedly blamed the restricted politics adopted by Amaechi for escalating the discord eating up the APC. Ake emphasised that the adoption of Mr. Cole as the state APC standard- bearer by the NWC is unacceptable to the party in the state. He claimed Amaechi had merely used his affinity to President Muhammadu Buhari to impose his candidate through indirect primaries, which is in contravention of an earlier directive by the National Executive Committee (NEC) that direct primaries be adopted in Rivers state to choose the party’s candidate due to lingering litigations. He further faulted the list of delegates, which also included names of local government chairmen who were sacked by the competent court of law in 2016, used in the governorship primaries conducted by the Flag-Amachree-led faction. Also, former Rivers State Commissioner for Justice and Attorney General, Worgu Boms said only NEC directive for direct primaries for Rivers State should be upheld tenaciously and not that of the NWC, which is inferior to it. “The NWC is inferior to NEC. So, the decision of the latter should supersede any other decision taken within the party. NEC approved direct primary for Rivers State. It therefore came as a surprise that some persons took it upon themselves to opt for indirect primaries. This is illegal. It is only the National Executive Committee (NEC) of a Political Party that can conduct Primary Election to nominate candidates for offices of President, National Assembly, State governors and State Assemblies,” he said. But, an aide to the minister, Mr. Achinike William-Wobodo, said the aforementioned utterances by those opposed to the emergence of Mr. Cole is the kind of feedback people get when they engage inexperienced politicians as political strategists and tacticians. “They announced to the whole world that they conducted a successful “direct primaries” and elected Senate Magnus Abe as their candidate; days after, they are protesting and alleging imposition of candidate. The question is: who is been imposed on whom? Was Sen. Abe imposed on them at their alleged Direct Primaries? If they are referring to Arch Tonye Cole, which I imagine they are, then they leave everyone with one irresistible conclusion, which is that those who claim to have participated in the alleged “Direct Primaries” knew ab initio that they were indulged in some kind of illusion and foolery. Otherwise, why would they concern themselves with the indirect primaries of another group, especially when it is a coronation of a king that would not be crowned,” he added. 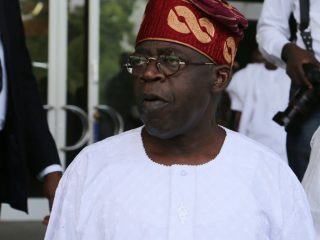 Amid factional bickering, the APC, with its political power entitlement mentality, was already lusting to see the PDP go down in defeat in next year’s general elections when suddenly a High Court in Port Harcourt declared the primaries that produced Mr. Cole and other elective candidates null and void, thus foisting a new political reality on the party. The court decision had hit APC in Rivers State like a ton of bricks and it was bound to possibly leave a bitter taste in the mouths of its leaders if Governor Wike is returned to the Brick House next year. 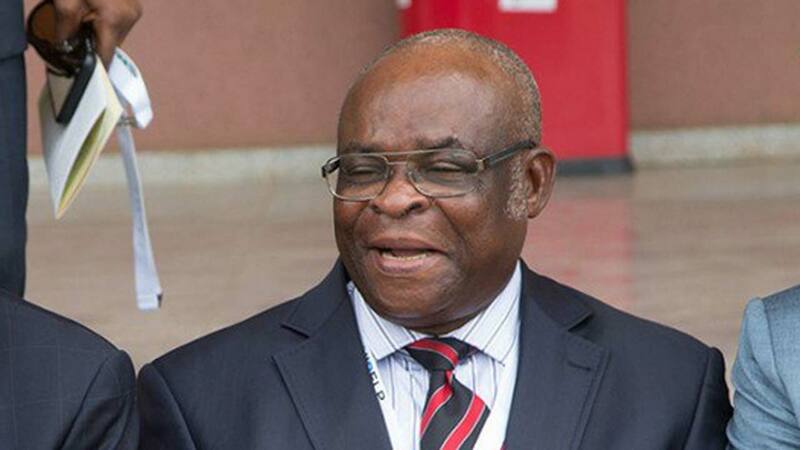 Justice Chiwendu Nwogu while delivering judgment on the suit filed by the aforementioned twenty three APC aspirants, declared it was unlawful and unjustly for anyone to have excluded and deny the plaintiffs the opportunity to contest the May 2019 congresses, which they had purchased nomination form to participate in the process. “A political party must respect its own constitution and follow its own guidelines in the conduct of party activities. It’s a case of unlawful exclusion to deny party men and women nomination forms which they had paid for to participate in the congresses of their party,” he said. The judge asserted that all actions taken by the party, including the nomination of Mr. Cole and all legislative candidates while the case brought before the court by the aggrieved APC members was pending have been set aside because they are illegal and unconstitutional. The nullification of the primaries by the court seems to have re-energised the Abe faction, as scores of his enthusiastic party supporters besieged his campaign office in Port Harcourt on Thursday. Some told The Guardian that the judgment was clear message to the party’s hierarchy that the time had come to revamp the party and get set for 2019. However, the Flag-Amachree faction, whose hopes of seeing the party win the 2019, thus, paving way for it to enact policies that will spread wealth and prosperity around, have declared they will not fold their hands and watch their quest for political power go up in flames. State Publicity Secretary, of the Flag-Amachree faction, Chris Finebone, claimed that the ruling of the court is a culmination of an evil collaboration between Governor Nyesom Wike and senator Abe, to use the Rivers State judiciary to scuttle the electoral fortunes of the APC in 2019. Finebone stated that nothing will happen to the Ojukaye-led state executive of the party as it is protected against any action based on a perpetual injunction granted by Abuja High Court 14 presided over by His Lordship, Hon. Justice A. O. Musa on Tuesday, September 4, 2018. 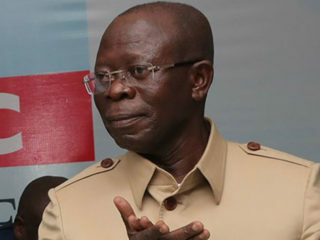 The court’s injunction restrained the APC and its national chairman, Adams Oshiomhole, from tampering with the mandates of the elected officials/delegates elected at the ward, Local Government and State congresses in Rivers State on May 19, 20 and 21, 2018 respectively. A lawyer and Senior Special Assistant to the Rivers State Governor on Social Media, Oraye St. Franklyn, has leisurely fired a dart at APC’s direction, saying the game is over for Rivers APC. 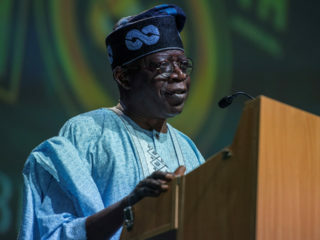 He pointed out that Section 87 (4) (b) of the Electoral Act is clear that properly elected and statutory delegates from all Local Governments shall vote for the emergence of a candidate to fly the flag of a political party in a governorship election in the event that the party decides to adopt indirect primaries. According to him, Section 87(9) of the Electoral Act gives the Court or INEC the power to exclude a political party and her candidate from an election if the party primary did not meet the required standard of the Act. He argued that after the judgment of Justice Nwogu the APC in Rivers State is reasonably excluded from the governorship contest and other electoral offices up for grabs at the 2019 general elections. “Furthermore, a look at the guidelines INEC has set for the 2019 elections makes it impossible for APC Rivers State to remedy the situation except INEC changes its guidelines and timeline. That will of course open the floodgates. The independence of INEC is now being tested,” he said. Senator Abe who has been mocked by Flag-Amachree’s supporters for embroiling himself in an unwinnable tussle with Amaechi, has hailed the decision of the court nullifying the indirect primaries conducted in the State. “ People cannot sit in Lagos and choose a governor for Rivers people. They can’t say that our views don’t matter. Be calm, be strong and be resolute. We will show them that the people cannot be taken for granted. We will fight this no matter how long it takes. In Abuja, people are protesting everyday. Why? Because we are not following the rules. Direct primary allows people to participate; indirect primary will allow a few persons to have so much power,” he said. The PDP is not leaving anything to chance. It has already started poaching APC members. Most prominent is member representing Tai, Eleme and Oyigbo Federal Constituency in the House of Representatives, Mr. Barry Mpigi, who is now PDP candidate for Rivers South-East senatorial district. There are also indications that mass defection looms in the APC.